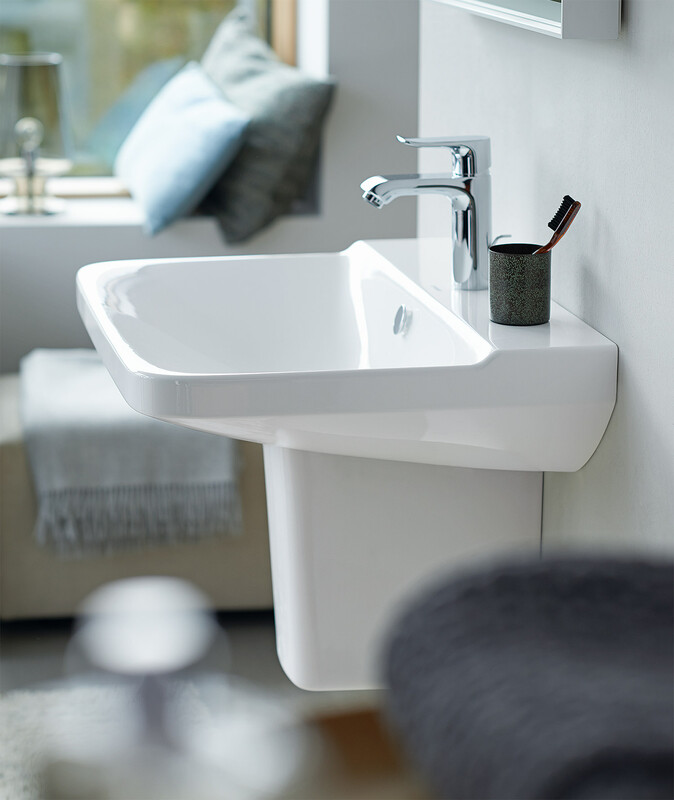 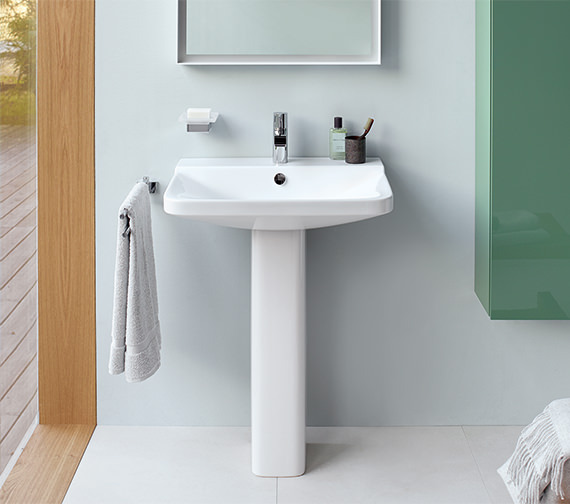 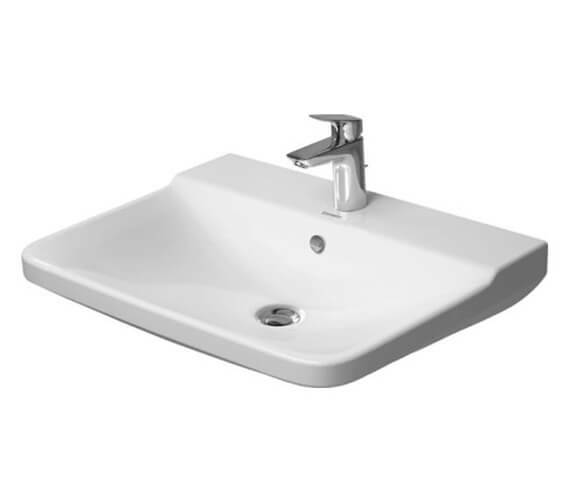 Duravit, one of the most reputed companies in the UK for providing quality bathroom products, has now introduced this WashBasin in its P3 Comforts Series. 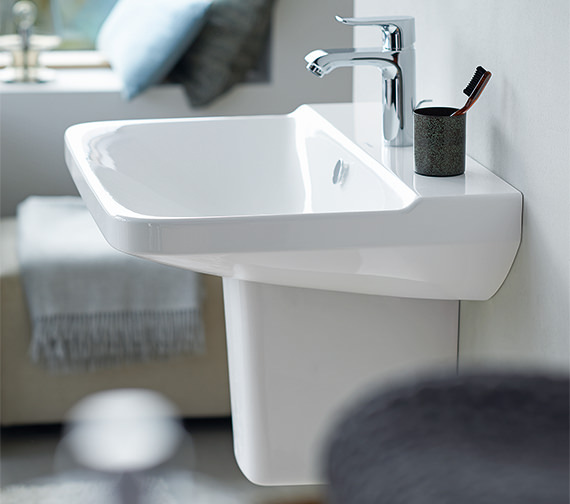 This creation from Phoenix Design Studio provides you with immense convenience, while, at the same time, adding to the ambience of the wash area. 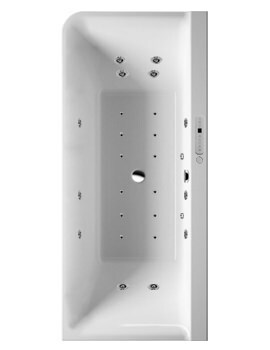 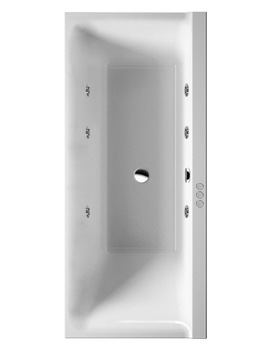 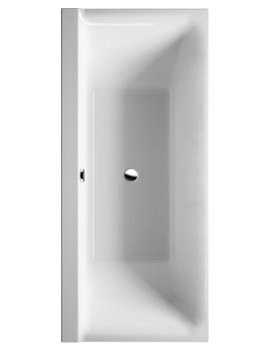 The superior quality white finish protects as well as blends happily with most colour schemes. Sturdy in its construction, it includes overflow, overflow clip and tap platform. Get a chrome tap to complete the look, also available at a great price. 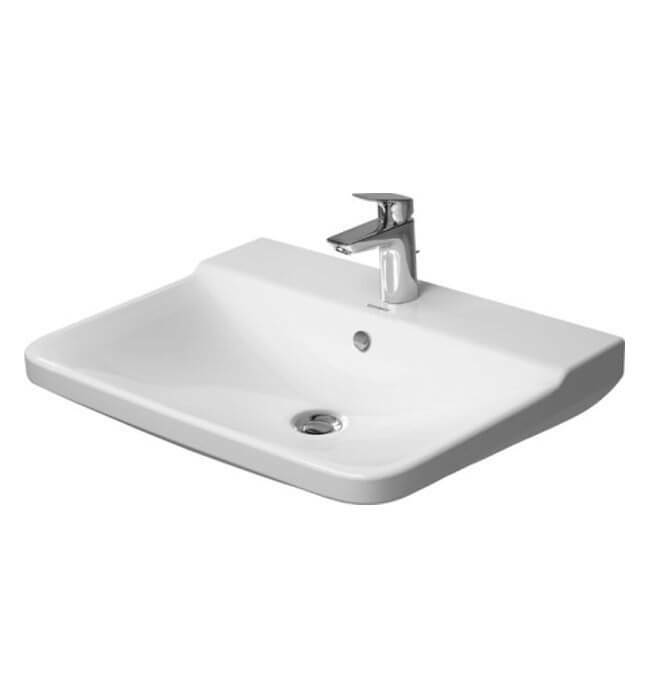 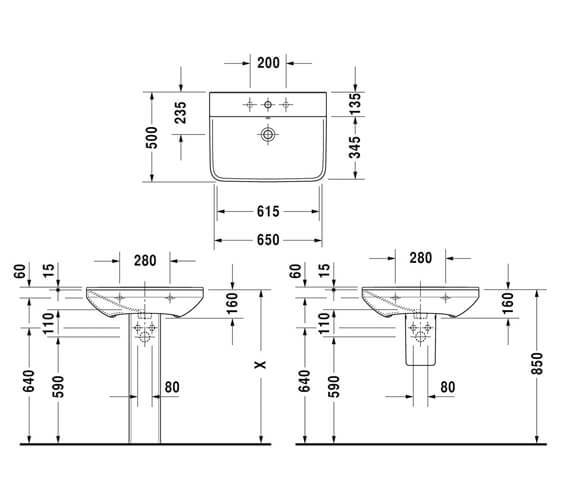 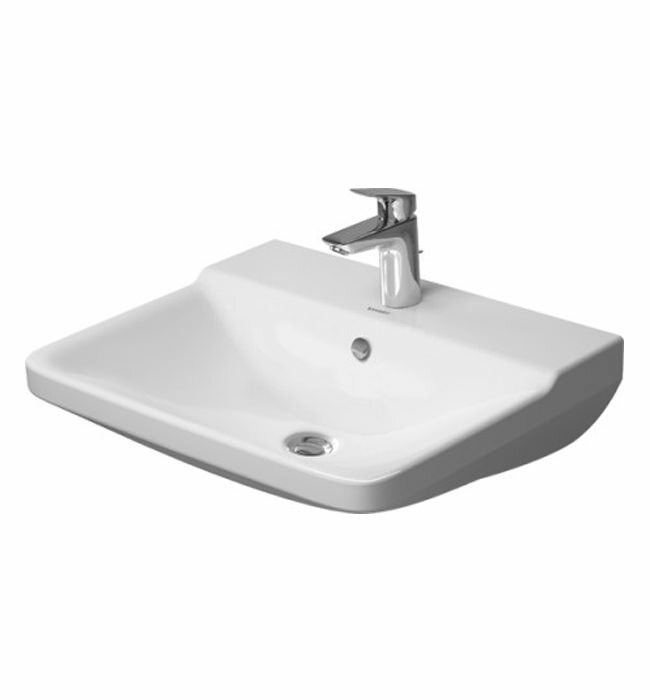 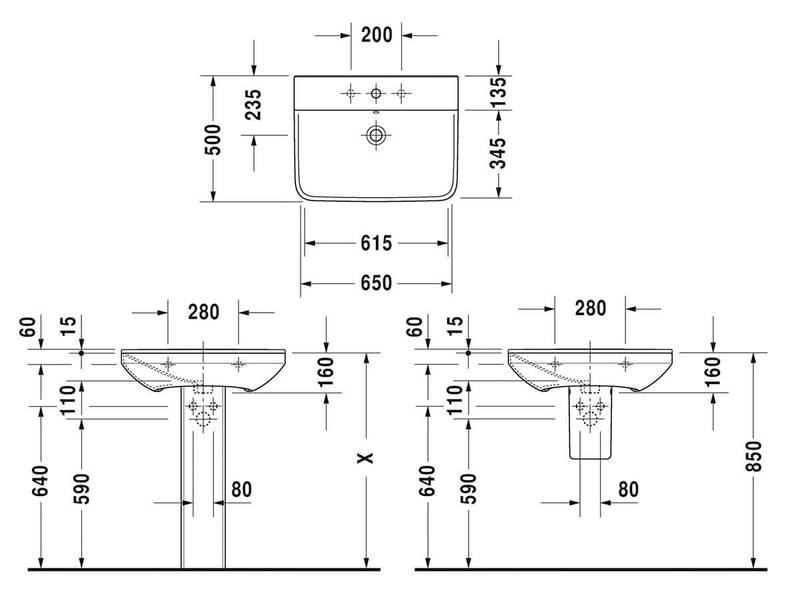 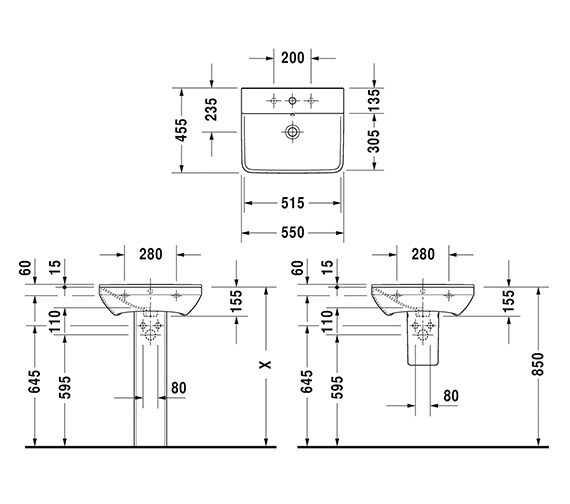 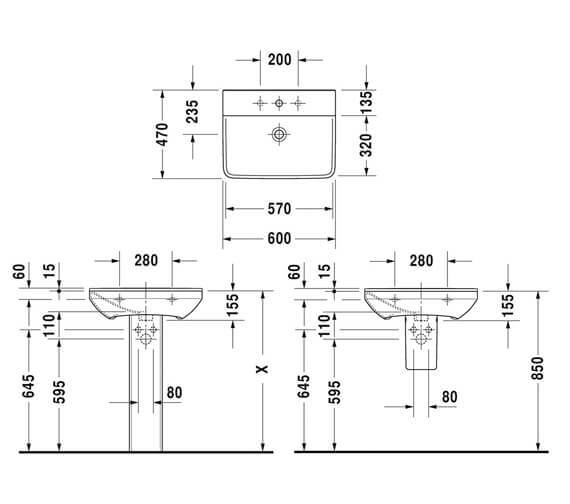 Optional Full And Semi Pedestal for basin. Please Note image is for illustration purpose only. 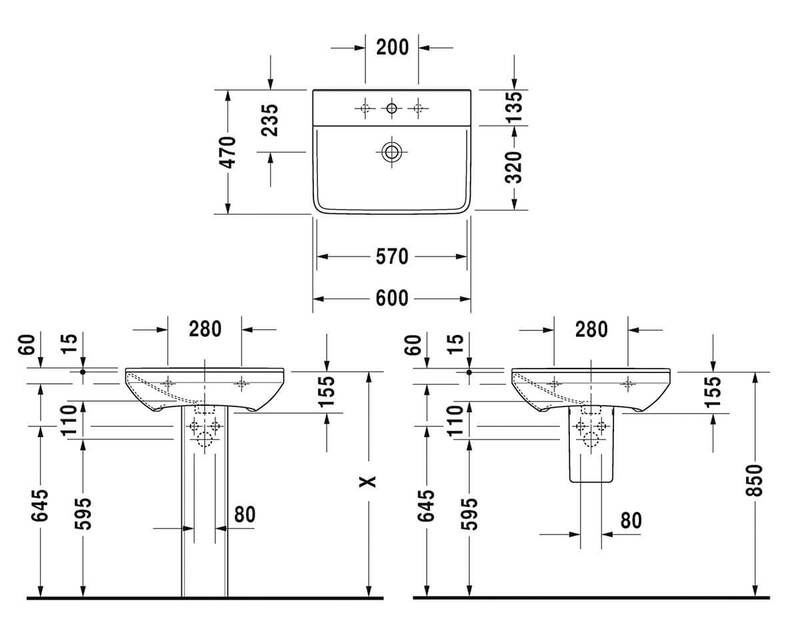 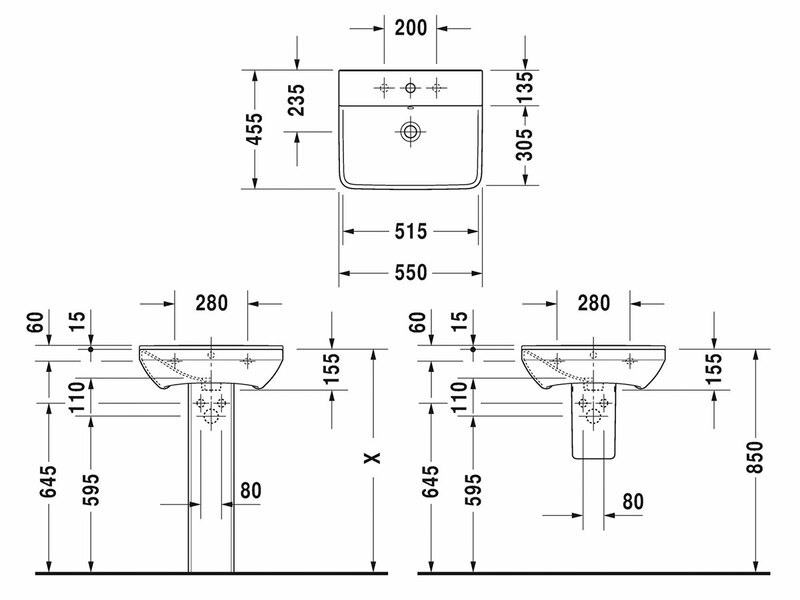 With 3 TH - Width 650mm x Depth 500mm x Height 160mm -2331650030.